This unique volume provides Christians with an extensive overview of God’s food Laws as found in both the Old and New Testaments. 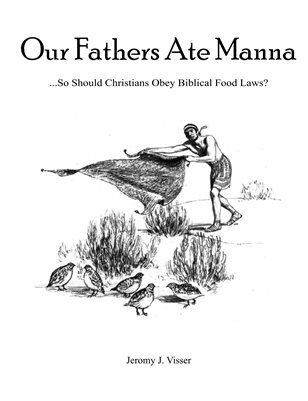 Designed to be a handy field manual for the serious Christian, Our Fathers Ate Manna goes one step further by proving Jesus Christ is God Himself who lovingly provided followers a set of guidelines. When His food Laws are properly followed and applied the Christian can achieve optimum health, blessings and immunity. This Expanded Deluxe Edition contains; JOY UNSPEAKABLE, ALTERNATE COVER ART, SELECT CPM NEWSLETTERS & DEVICES OF THE LAWLESS ALMANAC!